Dr. Loeckenhoff received her undergraduate degree from the University of Marburg, Germany and her Ph.D. from Stanford University. She completed a post-doctoral fellowship in the intramural research program of the National Institute on Aging before joining Cornell University in 2009. Dr. Loeckenhoff is a Fellow of the Gerontological Society of America. She was recognized as a Rising Star by the Association for Psychological Science in 2011 and received the Margret M. and Paul B. Baltes Foundation Award in Behavioral and Social Gerontology from the Gerontological Society of America in 2014. Her efforts in teaching gerontology were honored by a SUNY Chancellors Award for Teaching Excellence in 2013 and a KON Award for Excellence in Advising in 2018. Dr. Loeckenhoff's research focuses on age differences in time horizons, personality, and emotional experience and their influence on mental and physical health across the life span. A central goal is to understand how age groups differ in their approach to health-related choices and to explore ways to optimize such choices across the life span. A second line of research examines life-long trajectories in people's personality traits and social cognition and their relation to health-related behaviors and outcomes. Dr. Loeckenhoff is also interested in cross-cultural differences in aging trajectories. Ong, A.D., & Löckenhoff, C.E. (Eds.). (2016). Aging, emotion, and health. American Psychological Association. Hess, T., Strough, J., & Löckenhoff, C.E. (Eds.). (2015). Aging and decision making: Empirical and applied perspectives. Elsevier. Löckenhoff, C.E. (2018). Aging and decision-making: A conceptual framework for future research. Gerontology, 64, 140-148. Costa, P.T., McCrae, R.R., & Löckenhoff, C.E. (2018). Personality across the life-span. Annual Review of Psychology, 70, 423-448. Löckenhoff, C.E., & *Rutt, J.L. (2017). Age differences in self-continuity: Converging evidence and directions for future research. The Gerontologist, 57(3), 396-408. *Rutt, J.L. & Löckenhoff, C.E. (2016). Age patterns in mental representations of time: Underlying constructs and relevant covariates. Experimental Aging Research, 42(3), 289-306. *Riffin, C., Pillemer, K., Reid, M.C., Tung, J., & Löckenhoff, C.E. (2016). Decision support for joint replacement: Implications for decisional conflict and willingness to undergo surgery. Journals of Gerontology: Psychological Sciences, 73(3), 387-398). Bazarova, N.N., *Chang, P., *Choi, Y.H., & Löckenhoff, C.E. (2015). Online social networking across the life span: Extending socioemotional selectivity theory to social networking sites. Journal of Broadcasting and Electronic Media, 59(2), 221-239. Löckenhoff, C.E., Chan, W., McCrae, R., De Fruyt, F., Jussim, L., De Bolle, M., …, Terracciano, A. (2014). Gender stereotypes of personality: Universal and accurate? Journal of Cross-Cultural Psychology, 45(5), 675-694. *Riffin, C., Löckenhoff, C.E., Pillemer, K., Friedman, B., & Costa, P. (2013). Care recipient agreeableness is associated with caregiver subjective physical health status. Journals of Gerontology: Psychological Sciences, 68(6), 927-930. Löckenhoff, C.E., *Laucks, S., *Port, A.D., Tung, J., Wethington, E., Reid, M.C. (2013). Temporal horizons in pain management: A focus group study of physicians, physical therapists, and middle-aged and older adult patients. The Gerontologist, 53(5), 850-860. Löckenhoff, C.E., *Cook, M.A., *Anderson, J.F., & Zayas, V. (2013). Age differences in responses to progressive social exclusion: The role of cognition and socioemotional functioning. Journals of Gerontology: Psychological Sciences, 68(1), 13-22. Löckenhoff, C.E., *Maresca, S.N., & *Reed, A.E. (2012). Who saves the best for last? Age differences in decisions about affective sequences. Psychology and Aging, 27, 840-848. Löckenhoff, C.E, Duberstein, P., Friedman, B., & Costa, P.T. Jr. (2011). Five-factor personality traits and subjective health among caregivers: The role of caregiver strain and self-efficacy. Psychology and Aging, 26(3), 592-604. Löckenhoff, C.E. (2011). Age, time, and decision making: From processing speed to global time horizons. Annals of the New York Academy of Sciences, 1235(1), 46-56. Löckenhoff, C.E., O’Donoghue, T, & Dunning, D. (2011). Age differences in temporal discounting: The role of dispositional affect and anticipated emotions. Psychology and Aging, 26(2), 274-284. Löckenhoff, C.E, Terracciano, A., Patriciu, N.S., Eaton, W.W. & Costa, P.T., Jr. (2009). Self-reported extremely adverse life events and longitudinal changes in five-factor model personality traits in an urban sample. Journal of Traumatic Stress, 22, 53-59. Löckenhoff, C.E., De Fruyt, F., Terracciano, A., McCrae, R.R., De Bolle, M., & Costa, P.T. Jr. et al. (2009). Perceptions of aging across 26 cultures and their culture-level associates. Psychology and Aging, 24, 941-954. Löckenhoff, C.E, & Carstensen, L.L. (2008). Decision strategies in healthcare choices for self and others: Older adults make adjustments for the age of the decision target, younger adults do not. Journals of Gerontology: Psychological Sciences, 63, P106-P109. Löckenhoff, C.E., Costa, P.T., & Lane, R.D. (2008). Age differences in descriptions of emotional experience in oneself and others. Journals of Gerontology: Psychological Sciences, 63, P92-P99. Terracciano, A., Löckenhoff, C.E., Zonderman, A.B., Ferrucci, L., & Costa, P.T. Jr., & (2008). Personality predictors of longevity: Activity, emotional stability, and conscientiousness.Psychosomatic Medicine, 70, 621-627. Löckenhoff, C.E., & Carstensen, L.L. (2007). Aging, emotion, and health-related decision strategies: Motivational manipulations can reduce age differences. Psychology and Aging, 22, 134-146. Löckenhoff, C.E., & Carstensen, L.L. (2004). Socioemotional selectivity theory, aging, and health: The increasingly delicate balance between regulating emotions and making tough choices.Journal of Personality, 72, 1393 – 1424. To sign up for office hours, click here. Dr. Loeckenhoff is the Director of Graduate Studies for Human Development. 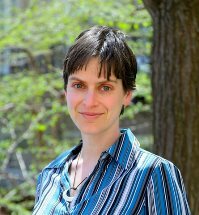 She also serves as the Director of the Gerontology Minor Program, the Institutional Representative of the Association for Gerontology in Higher Education, and the faculty advisor for the Cornell Elderly Partnership and Project Generations.